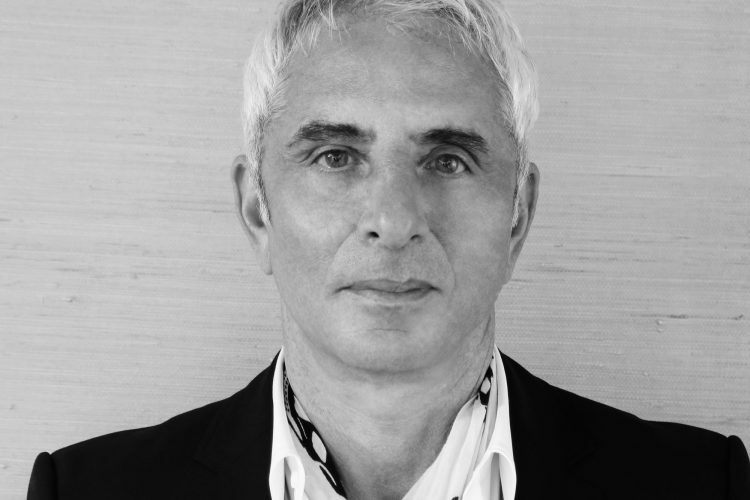 Thom Priano is a legend in the world of men's hair (though he's quick to note he also does women's hair). You've likely seen his work whether it was on an iconic Calvin Klein ad, a GQ spread, or Hollywood celebrity such as Brad Pitt, Timothée Chalamet, or Justin Timberlake's head. He also co-founded the luxury hair care brand R+Co (Rogue and Company) in 2014 with fellow top artists Garren and Howard McLaren. Rather than a haircare line based around one individual's experience, which can lead to shortcomings or blind-spots, it was founded as "a think tank of top editorial and salon stylists and educators, [...] we have more than one viewpoint on everything we do." Priano's approach to hair is similarly inclusive, not just looking at exclusively at hair but all the elements that go into personal style and a photograph. I asked Priano how he's seen men's approach to hair evolve since he began. “I started my career in the early 70’s and men’s hair has almost completely made a total 360 since then. The hair trends today have pretty much gone back to what they were when I started. For the trend setters and fashionistas hair has gotten longer almost resembling looks from the mid 70’s." The biggest difference he sees is “all the new grooming products, men have a bigger option in what and how to clean and style their hair. From great cleaning foams like R+Co’s ANALOG Cleansing Foam Conditioner to BADLANDS Dry Shampoo Paste, these products give the hair a feeling of next day hair." Coconut Oil is my number 1 product. I use it for an all-over moisturizer: body and face. I am a vegan and I try to eat healthy. Knowing that, I want to put a natural product on my skin which will not harm me. Continental Glossing Wax is light-weight so I don’t have to worry about it being too heavy on my hair. R+Co Shampoo: One of my favorites is SUNSET BLVD Blonde Shampoo and Conditioner. I have white hair and this shampoo keeps it white and bright, it is also vegan, which works with my lifestyle, also the ANALOG Cleansing Foam Conditioner is a great 2-in-1. Face and beard oil by C.LAKE Organics: I found this new product out on the market. I use it as a foundation oil before I shave. It is made with argan oil, grapeseed oil and it also has sandalwood and bergamot, I apply before and after shaving. Essential Oils. I know I must sound like a hippie, but essential oils are the things I am most drawn to. They are the safest products that I feel good about putting on my body.